This Bicentennial Wide Vision Caboose is painted similar to Bachmann's Norfolk and Western Bicentennial U33B model and was included in that same model's train set offering. 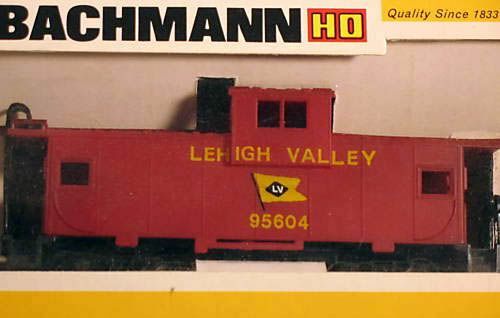 Bachmann produced at least two variations for the Wide Vision Caboose in Chessie System paint. The example with number 3327 arrives first in the 1970s. 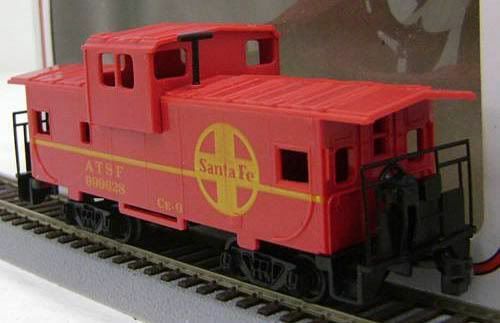 Not sure if this was given a unique stock number, separate from the regular Santa Fe example, by Bachmann. No known catalog appearances for this chrome plated Santa Fe model. 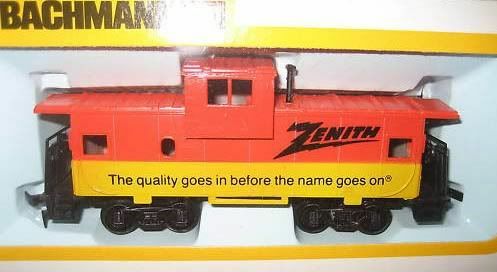 From a 1980's Bachmann set made for Zenith. 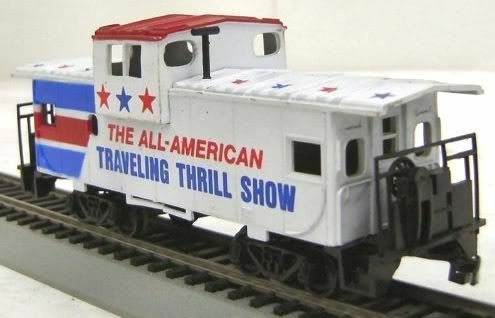 Joining Bachmann's 36' Steel Caboose with Off-Center Cupola in 1976 is the 36' Wide Vision Caboose. The model is shown available in '76 with seven roadnames and priced at $3.50. 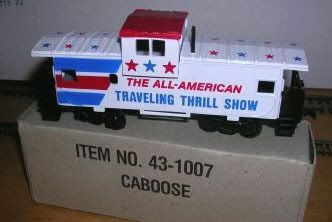 Though specifics are not provided, Bachmann lists item 1069 as being an Assortment of Wide Vision Caboose models in what appears to be a dealer pack. 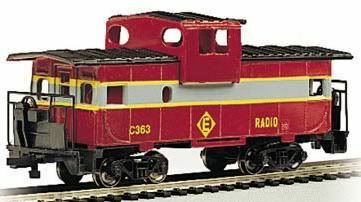 Bachmann features two variations to its Wide Vision Caboose. For our survey period here of the 1970s and 1980s, Bachmann originally offered the Wide Vision Caboose with end ladders extending up and over the car's roofline. Later, a modernized version was offered with only railings on the caboose ends and no ladders accessing the roof. This later modern Wide Vision Caboose model also dropped the roofwalk on either side of the cupola.